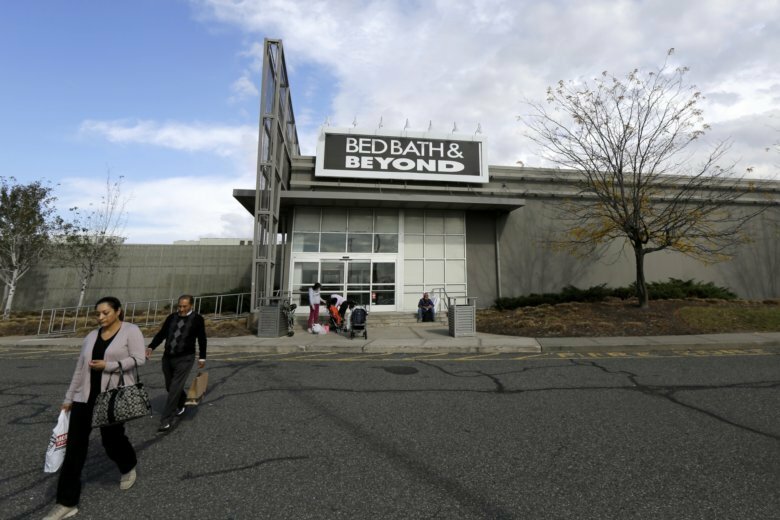 NEW YORK (AP) — Bed Bath & Beyond’s stock plunged to its lowest price in 18 years after the home goods store chain posted weak results in the second quarter and cut its forecasts for the rest of the year. The company’s profit fell by almost 50 percent compared to a year ago. Its stock sank 21.2 percent to $14.81 in very heavy trading. It’s down about 33 percent in 2018. The company now expects to report earnings of about $2 a share for the current fiscal year. Three months ago it forecast earnings in the “low-to-mid $2 range,” and analysts surveyed by FactSet were projecting net income of $2.28 per share on average. Bed Bath & Beyond also cut its revenue forecasts. KeyBanc analyst Bradley Thomas said competition for Bed Bath & Beyond from both online and physical retailers is getting worse. Thomas said the company’s profitability has fallen for 26 quarters in a row, a streak stretching back six and a half years. He expects that to continue because Bed Bath & Beyond needs to keep investing in its business.